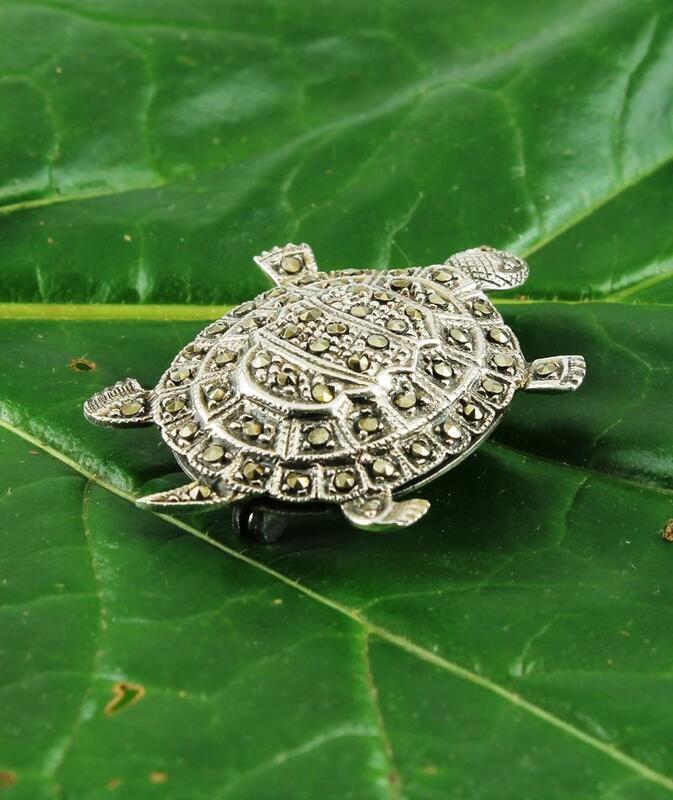 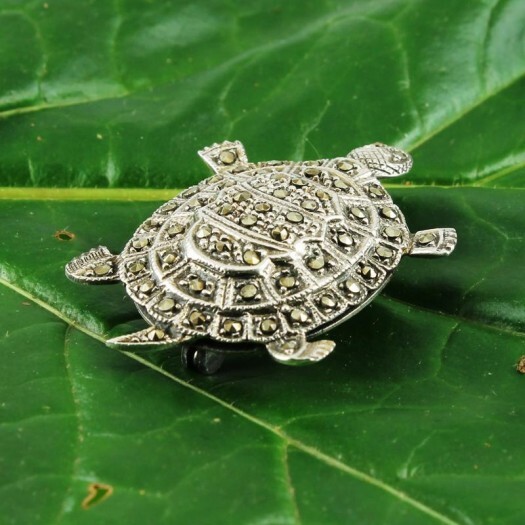 Wear It With : This exceptionally elegant and brightly sparkling vintage figural brooch will be a wonderful highlight of any outfit. 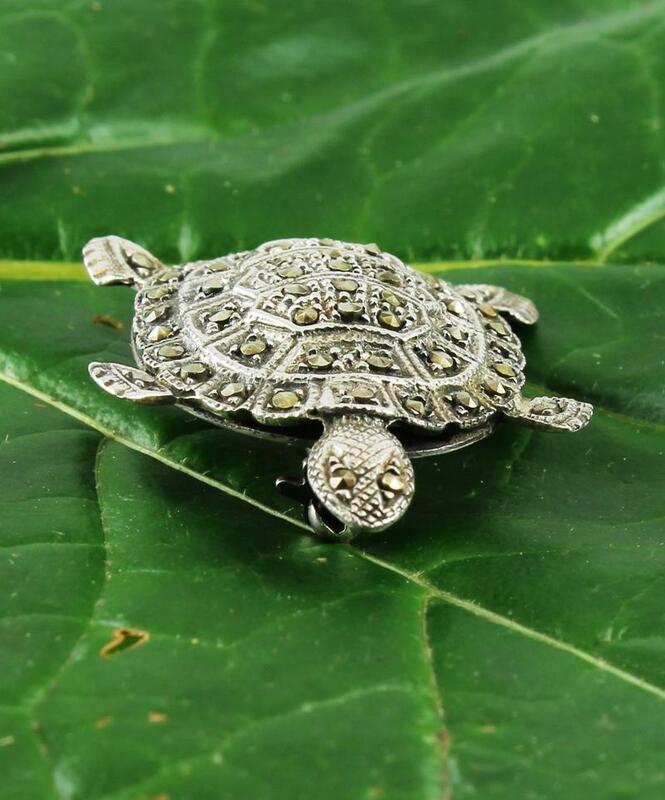 Condition excellent: Minimal signs of wear, all stones present and brilliant, and clasps and findings in perfect working condition. 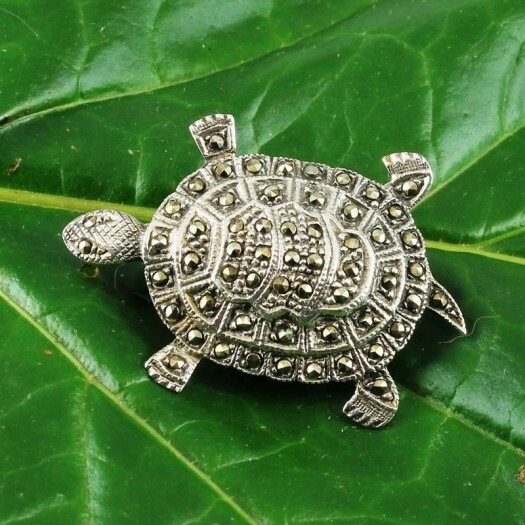 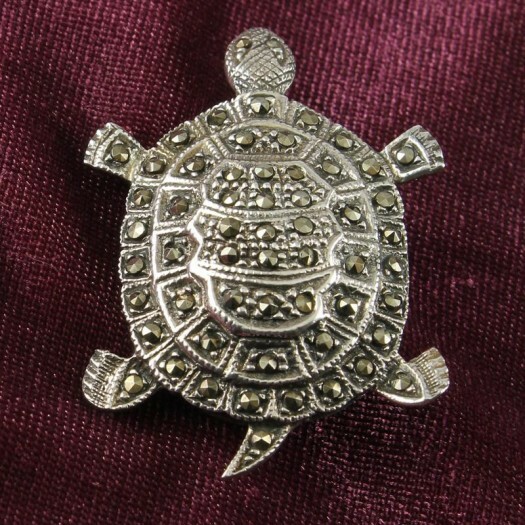 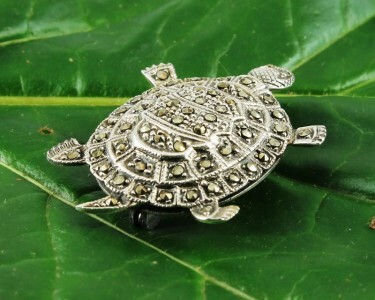 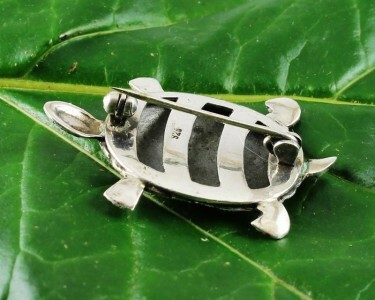 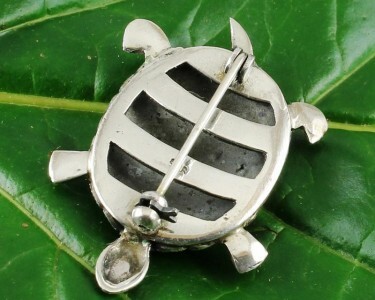 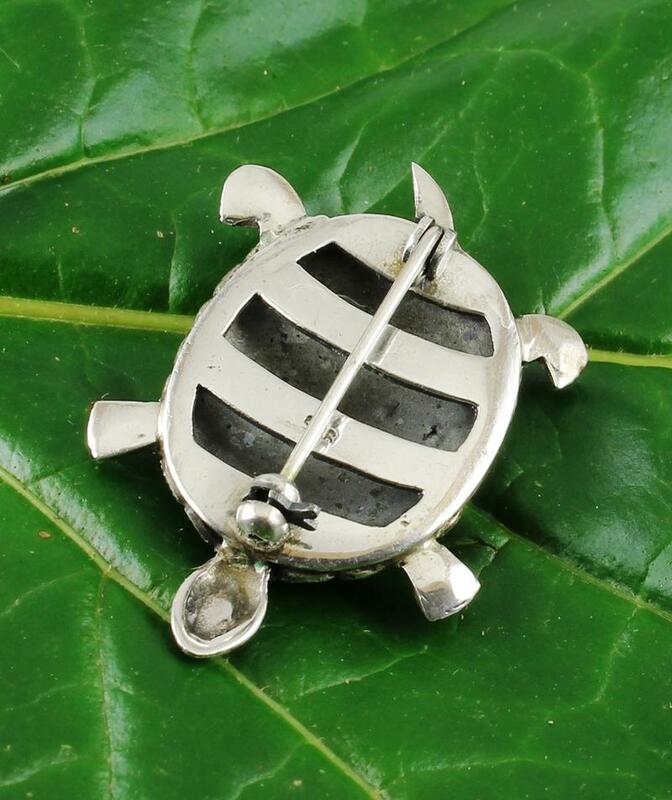 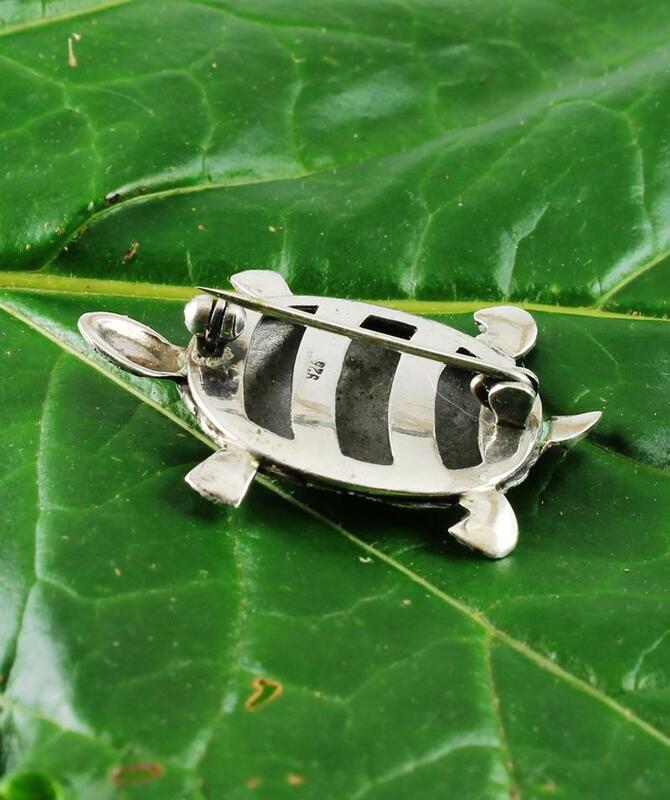 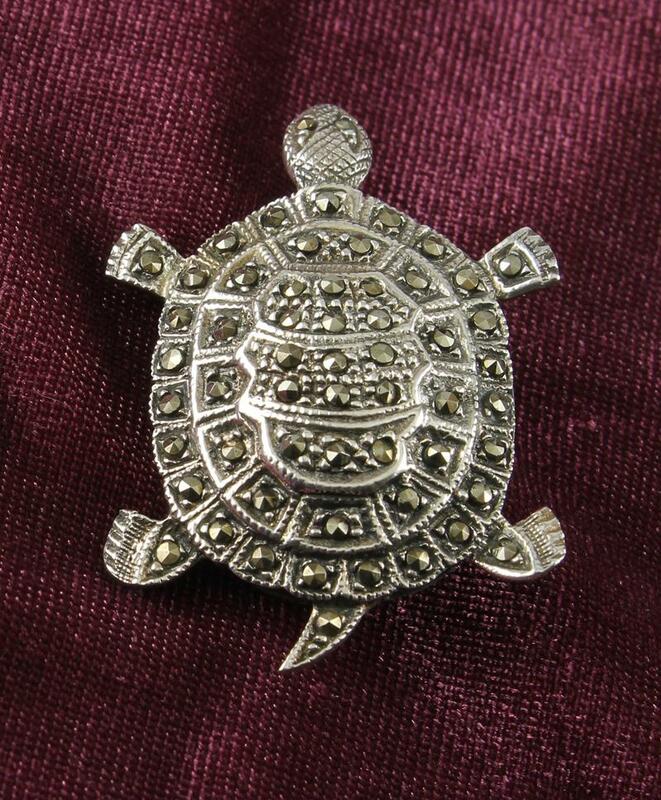 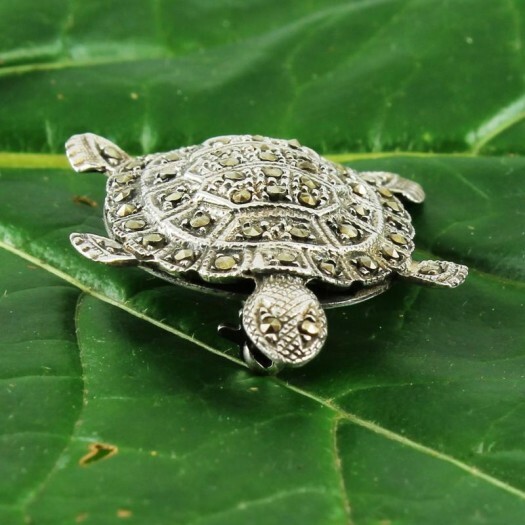 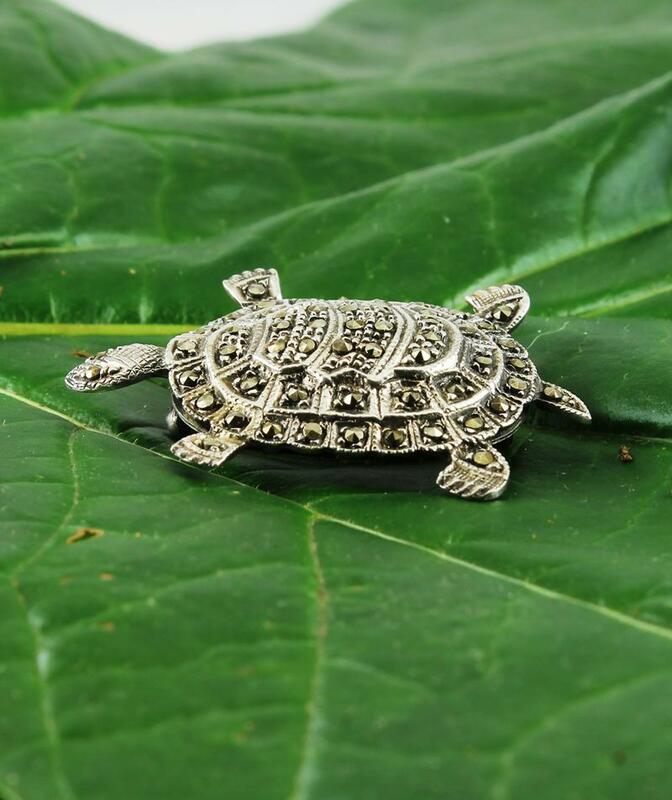 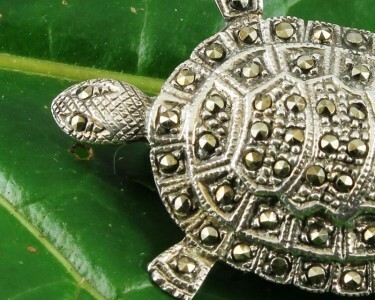 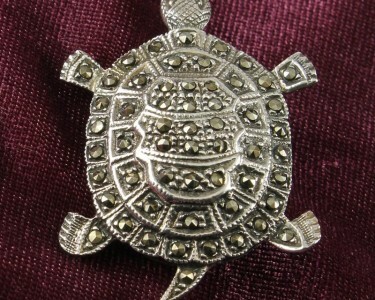 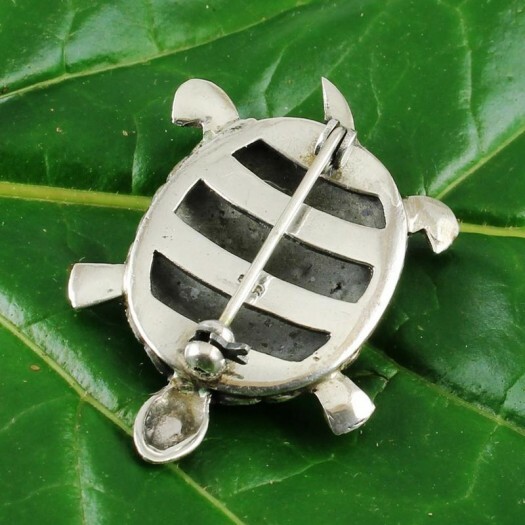 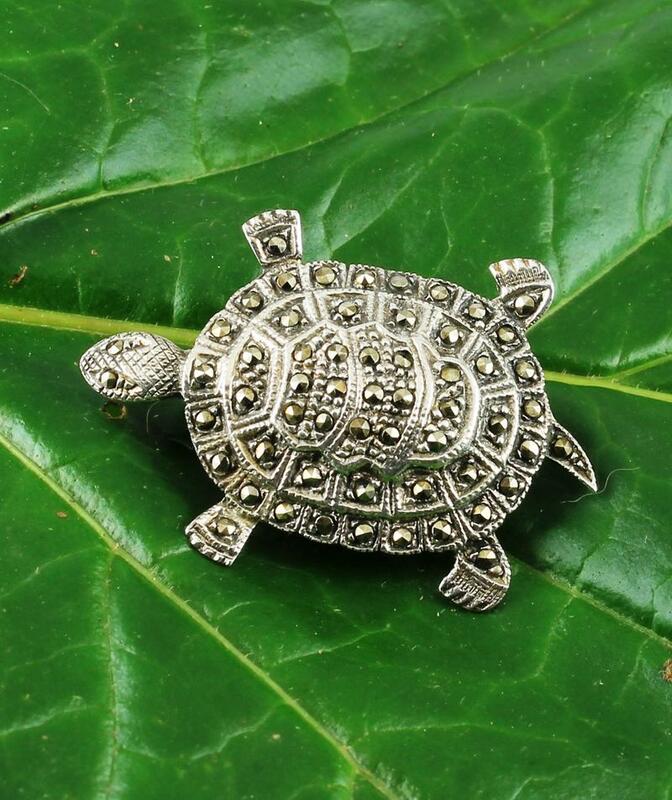 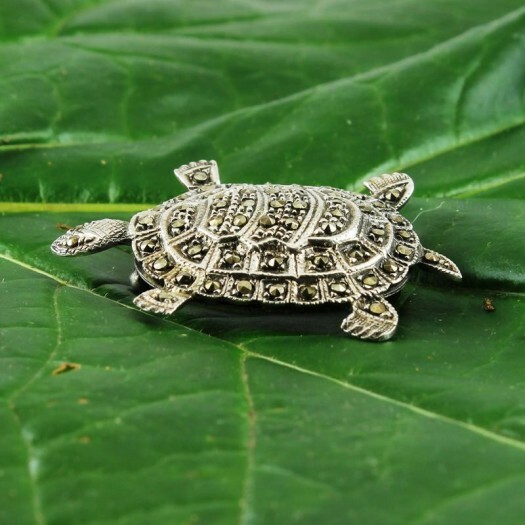 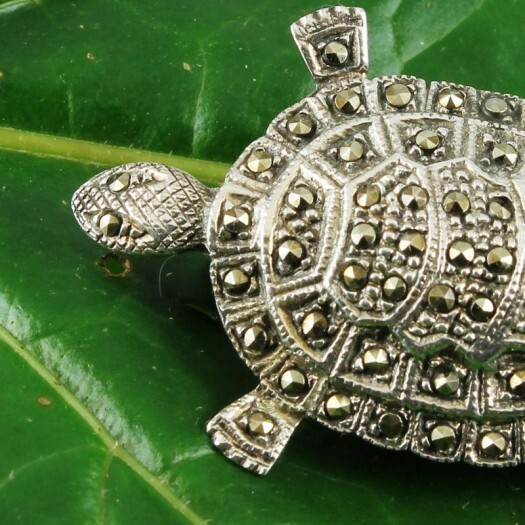 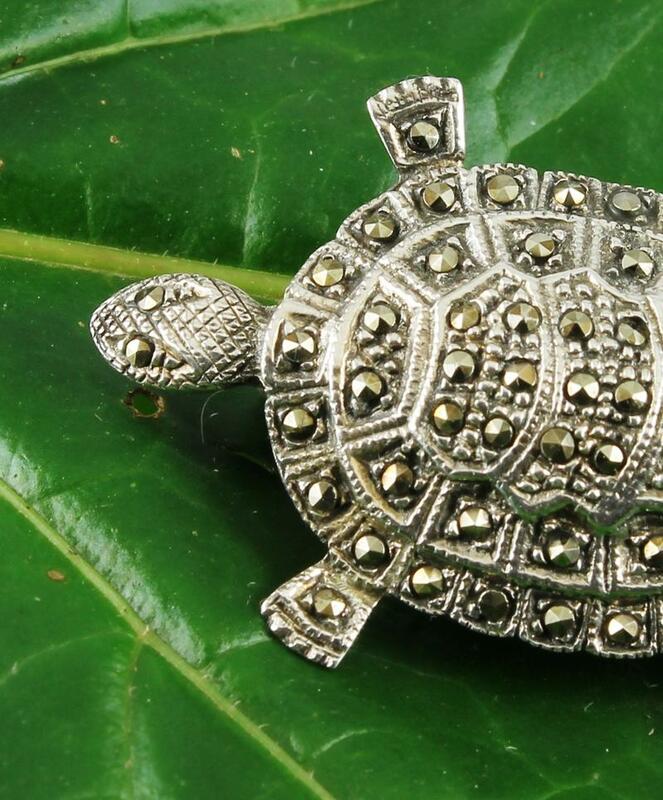 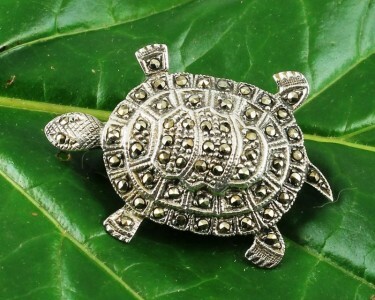 It will make a great gift for someone who loves turtles. 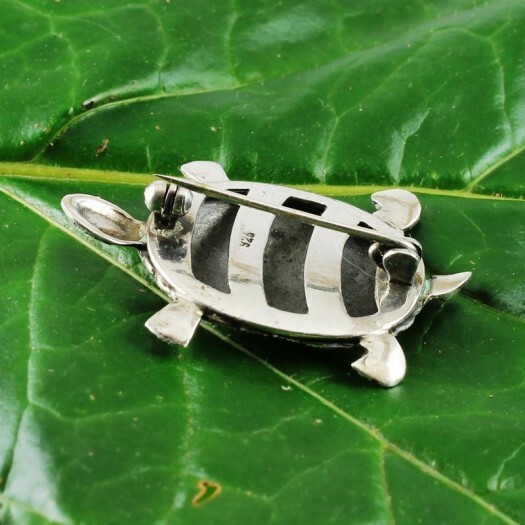 People will ask, 'Is it a turtle or a tortoise?' 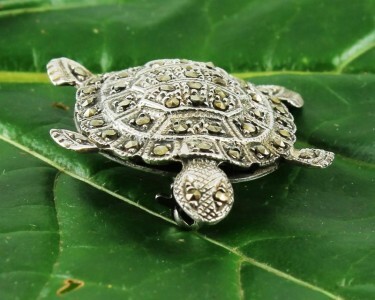 Turtles mostly live in water and have webbed claws. 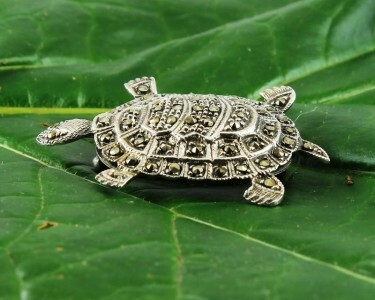 Tortoises like the land and don’t need webs between their claws.